Raja joined Watsi on December 23rd, 2014. Three years ago, Raja became the 1709th member to automatically support a new Watsi patient every month. Since then, 3,378 more people have become monthly donors! Raja's most recent donation supported U Kyaw, a man from Burma, to fund eye surgery. Raja has funded healthcare for 51 patients in 12 countries. Hnin Naddy is a one-year-old girl from Burma. She lives with her parents and two brothers in Bilin, Mawlamyaing Township, Mon State. Her mother sells snacks and her father builds roofs. Hnin Naddy was born with a birthmark over her right eyelid. Since then, it has grown considerably. Now, the mass completely covers the top of Hnin Naddy’s eyelid and prevents her from seeing out of her right eye. Doctors want Hnin Naddy to undergo an MRI, an imaging procedure that uses magnetic fields and radio waves to produce images of bodily organs. This scan will hopefully help doctors diagnose her condition and formulate an appropriate treatment plan. Our medical partner, Burma Children Medical Fund, is requesting $968 to cover the cost of Hnin Naddy's MRI and care, scheduled for January 29. 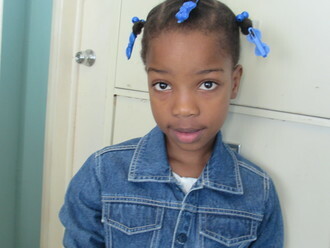 Her parents say, "We want her to be able to read well and attend school in the future. We hope for her to become a teacher when she grows up." 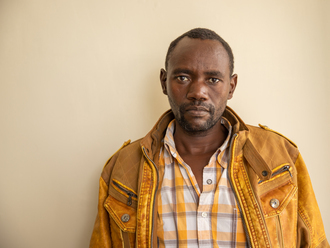 Ephantus is a father of two children from Kenya. In September 2016, he was in a bad road accident. He has already undergone three surgeries to treat his injuries. However, he still has an unhealed fracture on his left tibia. Fortunately, surgeons at our medical partner can help. On November 15, Ephantus will undergo a fracture repair procedure, called an open reduction and internal fixation. Now, our medical partner, African Mission Healthcare Foundation, is requesting $1,451 to fund this procedure. Ephantus says, “My prayer is to be able to walk with ease and help my wife raise our family." Win is a 28-year-old woman from Burma. She lives with her mother in Myawaddy, Karen State. She works as a day laborer. She love to spend time with her mother and to collect edible plants in the forest for food. Since 2013, Win has been experiencing troubling gynecological symptoms. She has been diagnosed with a myoma. She has been advised to undergo a total abdominal hysterectomy, the surgical removal of her uterus and cervix. If left untreated, Win's symptoms will continue to worsen and put her at risk for further health complications in the future. Fortunately, Win is scheduled to undergo her hysterectomy on July 24. Our medical partner, Burma Children Medical Fund, is requesting $1,500 to cover the total cost of her procedure and care. 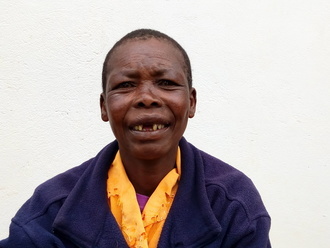 After surgery, Win will no longer worry about her condition, and she will be able to look after her mother. Win says, “After my surgery, I want to work as a day laborer again."